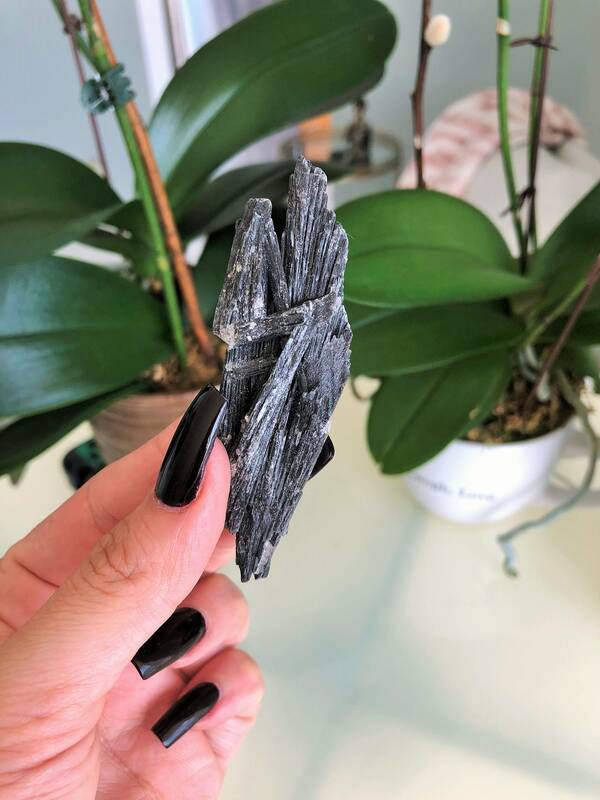 This Brazilian Kyanite is metallic black. This stone transmits and amplifies high-frequency energies, making it a great stone for attunements, past lives, meditation, and dream-work. The natural formation of these blades lends itself to this crystal's ability to unblock stagnant energies throughout the chakras. 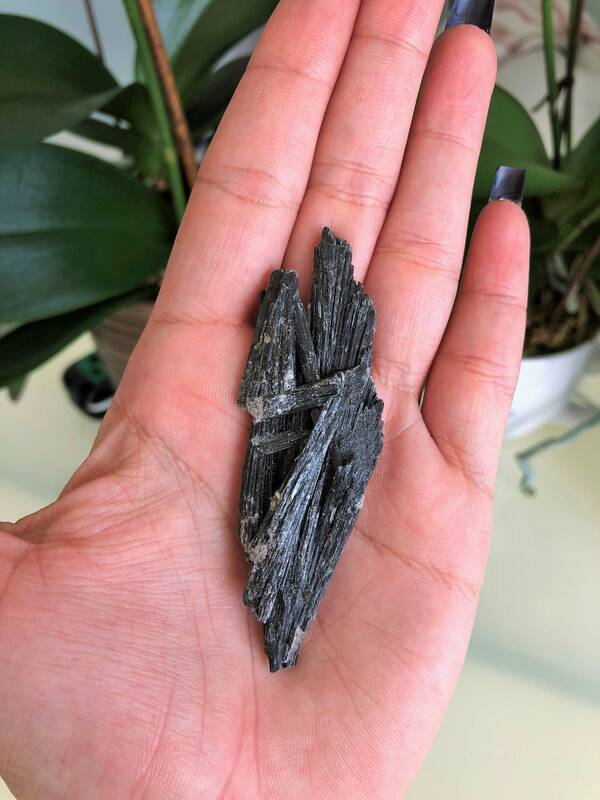 Black Kyanite works with all Chakras. Many energy healers like Kyanite because it can be instantly grounding and energizing. 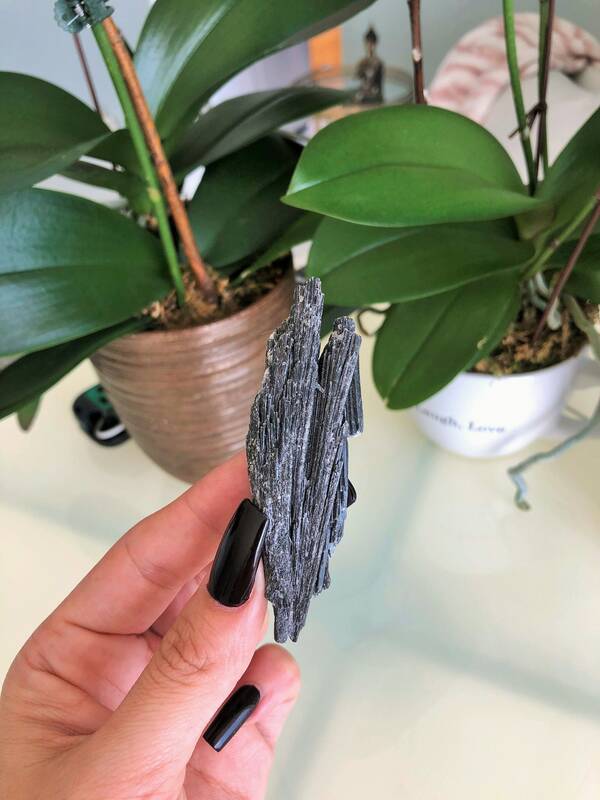 Kyanite doesn't hold negative energies, and never needs to be cleared/cleansed. Kyanite aligns all layers of the aura.